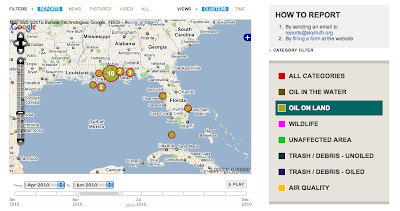 Sky Truth, Surfrider Foundation, and Ocean Conservancy have brought us the Gulf Oil Spill Tracker, which literally puts the Oil Spill on the map, according to different categories based on incident reports. Anyone can contribute to the site by downloading the information card to report an incident in your area. Upload the file and other photos online when you get home, and it'll be recorded. 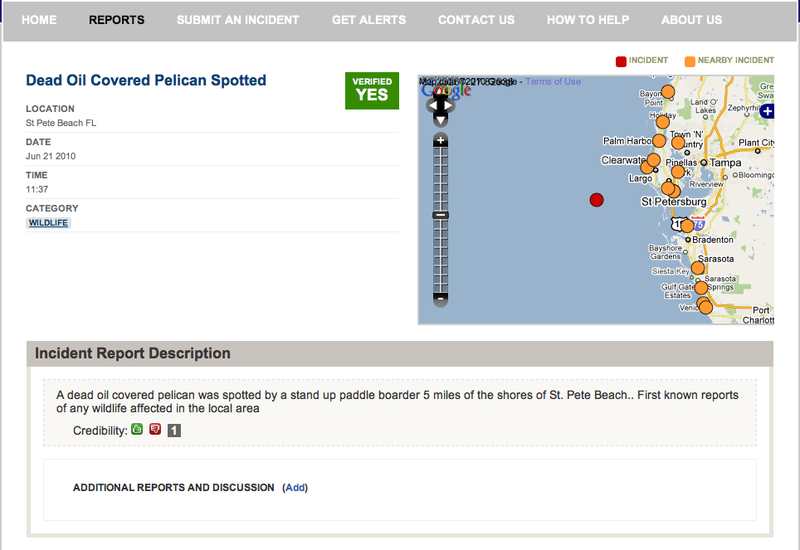 Incidents that have been verified are labelled verified and users can see other incidents in the surrounding area. 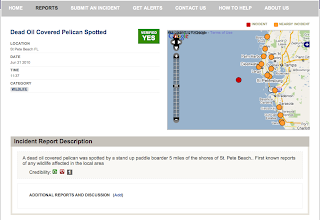 This tracker effectively makes transparent the severity of the spill and where it is affecting wildlife and our coastlines. For those who don't live in the affected areas, this informative tool gives a realistic perspective and calls for action.